Arthritis of the foot and ankle. Ortho Info—American Academy of Orthopaedic Surgeons website. Available at: http://orthoinfo.aaos.org/topic.cfm?topic=A00209. Updated March 2015. Accessed May 11, 2016. Osteoarthritis (OA) of the ankle. EBSCO DynaMed website. Available at: http://www.ebscohost.com/dynamed. Updated March 25, 2015. Accessed May 11, 2016. Recovery room. DePuy Orthopaedics Joint Replacement website. Available at: http://www.jointreplacement.com/docs/Ankle/Replacement/Rehabilitation/following%5Fars.html. Updated October 23, 2007. Accessed May 11, 2016. Total ankle arthroplasty. American Orthopaedic Foot and Ankle Surgeons Foot Care MD website. Available at: http://www.aofas.org/footcaremd/treatments/Pages/Total-Ankle-Arthroplasty.aspx. Accessed May 11, 2016. 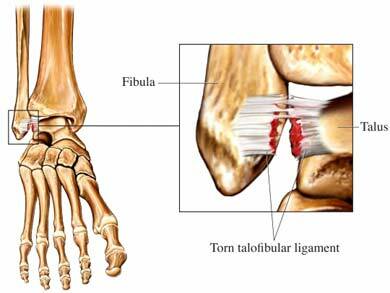 Total ankle replacement surgery for arthritis. University of Washington Orthopaedics and Sports Medicine website. Available at: http://www.orthop.washington.edu/?q=patient-care/articles/ankle/total-ankle-replacement-surgery-for-arthritis.html. Accessed May 11, 2016.